Google has never made the job of search engine optimisation (SEO) easy. Constant updates to Google’s search algorithms, which determine how search results are sorted, mean that often the rules are changed “mid game”. In addition, changes intended to penalise sites filled with sub-par content or having “bad” incoming links can end up damaging businesses. 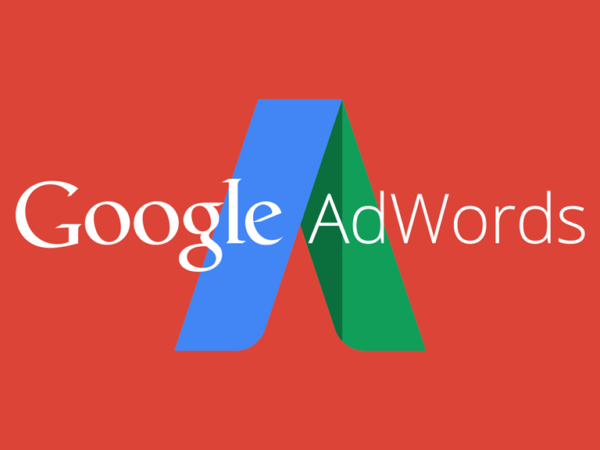 One way in which even small, local businesses can fairly easily obtain exposure on Google is in “local” results, meaning those that appear for searches specific to particular locations. These include results for queries containing local search terms like “Sandton hair salon” or “Pofadder coffee shop”. They also include results that are returned to you because Google recognizes your location. Appearing in these results has long been important to businesses with physical locations. With spectacular growth in mobile usage in South Africa, this is now as essential for many businesses as the Yellow Page were before the Internet age. Getting it right can result in your business appearing in multiple locations on page one of Google, as well as Google maps and other places on the web. Businesses with many branches can get the same results across all of their branches. The technology behind local search algorithms is quite complicated and advancing rapidly, which also means constantly changing. The basic principles of what is likely to get you good exposure, however, is fairly constant. As in the real world, this largely revolves around building trust and authority. The methods are just slightly different online. Traditional SEO methods and best practices remain the bedrock of healthy search engine rankings and play an important role in ensuring your success in both the regular and local results. Engaging and useful content, a healthy profile of natural links pointing back to your site, and a sensible structure are all vital. There are of course thousands of guides to traditional SEO online such as the excellent Beginner’s Guide to SEO so we won’t go into a lot of detail here. 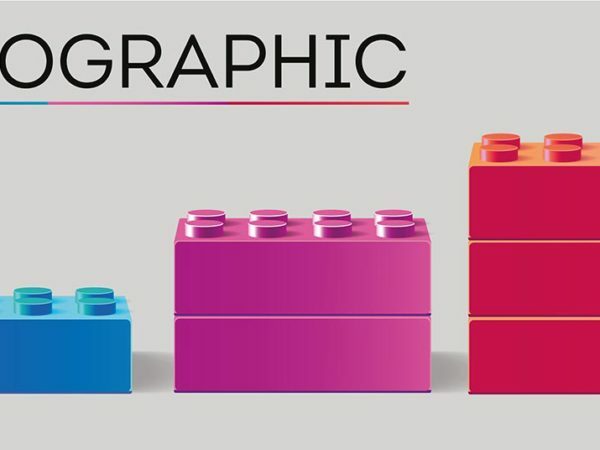 You should know what a title tag is for the rest of the article, but apart from that, you can probably get away with very limited knowledge of search engine optimization. Ensuring your site is mobile friendly is also becoming increasingly important, especially here in South Africa where mobile and smartphone penetration is extremely high. Your website should include your local phone number(s) and physical address prominently. For businesses that have multiple locations, each of these should have their own page. By including rich and detailed information including facilities, staff, directions, maps, opening hours, photos, and anything else that might be useful to your visitors, you’ll increase the chances of being found whilst also providing a great user experience. The more useful content that you publish on your location, the better. If you are a hotel, you might write about restaurants and attractions in your area. Other businesses can be more difficult to write about, but some ideas for localized content include a history of your business, your own background and experiences in your community, and case studies of projects you’ve worked on. Try to make it authentic, and ideally get an editor to ensure that the quality is high. Local businesses based in a single location or city might also consider optimizing all of their pages for location specific keywords. Although Google is sophisticated enough to know where you are located, including your town or city in titles and in your content provides additional signals that your site is relevant for local queries. Citations are online references to your company’s name, address and phone number, or “NAP”. Google considers these when evaluating the authority of your business and, for local SEO purposes, to place your company’s geographic location. Accordingly, citations – especially from high authority, relevant websites – are a vital tool for local SEO purposes. Although citations are an excellent way to establish a new website in the local SEO landscape, they can also be a source of stress if you’ve got an established website and listed citations are inaccurate. This can occur for various reasons – for example, you may have had previous SEO work done on a site that listed your NAP details incorrectly, or your business may have changed its location, phone number or even name and branding. However, there are ways to clean up citations that list incorrect NAP details. The table below lists South African directories that are excellent for building a solid list of local citations. Most are free, although some offer additional paid services for pushing your site to a front page. The directories listed on the left are the more trusted and established ones, but it’s not a good idea not to pass up the opportunity for listings on the smaller local directories too. You should ensure that you fill in as much information as possible, and keep it accurate and consistent. 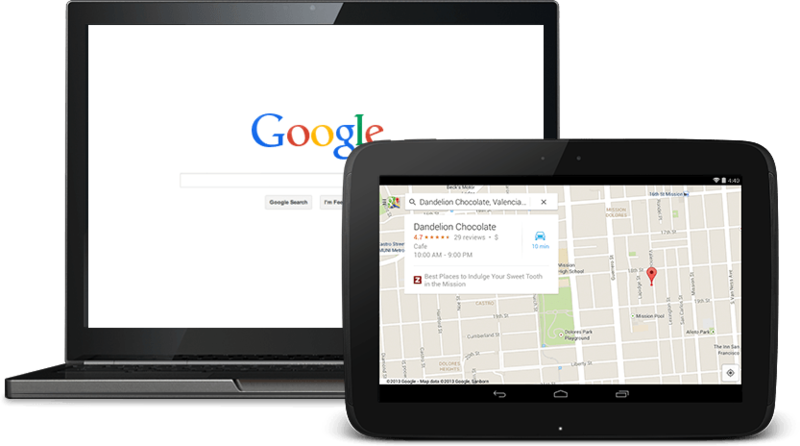 Google My Business, previously called Google Places, is an important platform for listing your company details consistently across several Google properties including in local search, Google+ local and Google maps. As well as creating a profile for your company, it’s vital to have Google verify your business details. Typically this involves waiting for Google to send a postcard containing a verification code to the business address you’ve listed. You then enter the code to confirm your location. Needless to say, this can be a slow process if the South African Post Office happens to be on strike. Google My Business is an excellent place to include unique copy about your services and offerings. Google takes users’ level of engagement with your page – that is, how often people visit and interact with the page – into account, so for local SEO purposes, it’s best to treat your Google My Business profile as if you didn’t have an actual website – fill it with images, engage with followers and post regular updates about your business and developments in your industry. Of course, Google would prefer all users to interact with your business primarily through its platform. 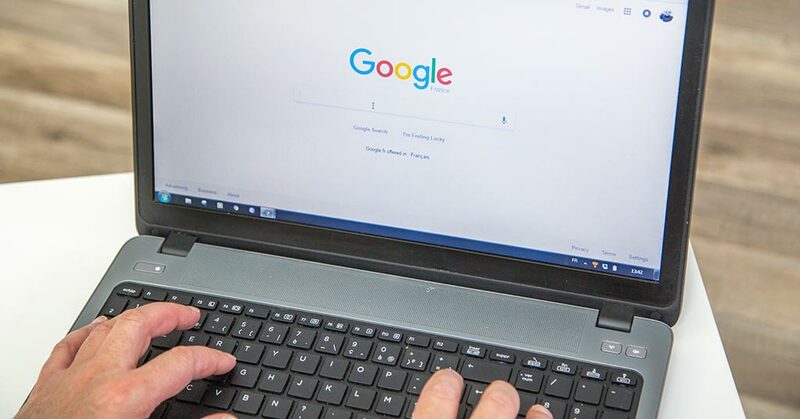 Google My Business makes it possible for users to learn all about your company and contact you without having to visit your website at all, which may have some disadvantages. Nevertheless, a Google My Business page is a good place to include links to relevant pages on your website. Reviews are an increasingly important factor in which sites internet users choose to visit and how well they convert once they get to your site. Reviews also impact on local search engine rankings and prominence, and for reviews to count in Google Maps results and in Google’s 7-Pack, the reviews have to be made via Google. Although TripAdvisor and HelloPeter are popular amongst South African users, most local businesses have few reviews on Google. This presents you with an opportunity to gain some advantage over your competitors, as listings enhanced with positive reviews increase your credibility as well as your exposure. Reviews need to be “natural” and unbiased, so the best approach is to simply ask your customers (in person, print or via digital channels) to give you a review. Providing some guidance on how to post a review is recommended, especially for South African businesses whose clients might be unfamiliar with the process. 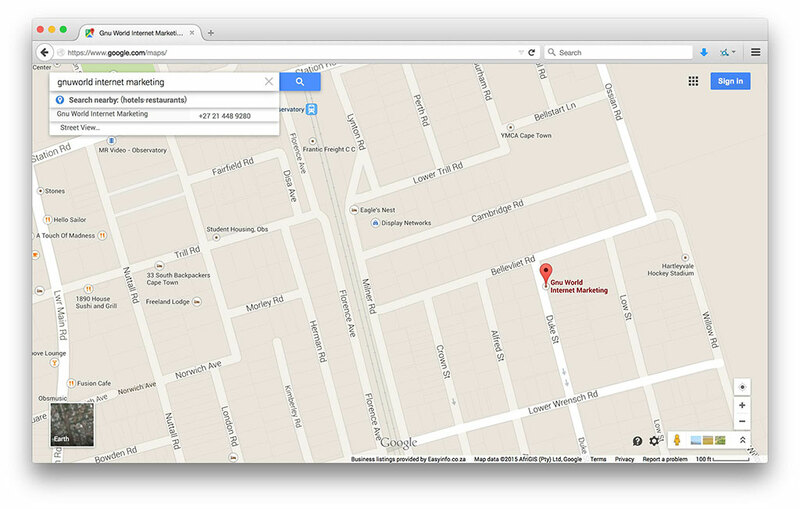 Google Map search results now show reviews prominently on both mobile and desktop screens. Social profiles on the three big players – Facebook, Twitter and Google+ – will help promote your business in your specific location. 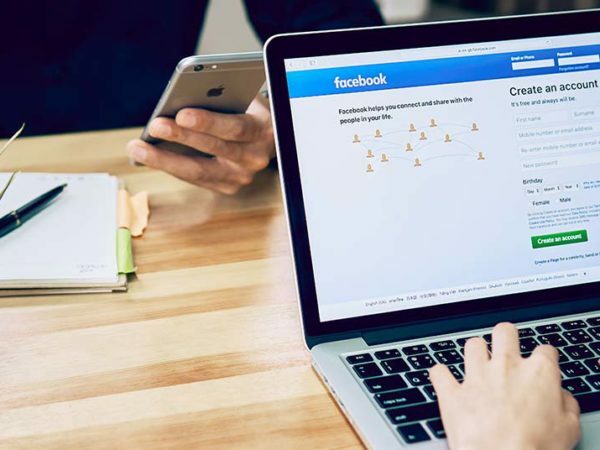 For example, Facebook users who’ve listed their locations as Cape Town will automatically have Cape Town businesses and services suggested to them. It’s also a good idea to sign up on YouTube, Pinterest and LinkedIn, and to use these platforms to boost your online presence. Ensure that you register your business correctly on social networks, which treat business entities differently to regular users. Once you’ve claimed a business location, you can manage your online reputation and prevent automated listings from being populated with incorrect information. Social profiles on major platforms are also an excellent, high-authority way for you to propagate your all-important NAP details. As always, ensure that your business name, address, contact details and URL are listed in exactly the same way on every profile. It’s also essential to have social buttons or widgets on your site to encourage users to share and promote your social media for you. However, don’t go overboard or users may be annoyed or visually overwhelmed by rows and rows of buttons for social platforms they’ve never heard of. Too many social buttons can also significantly slow down page load times, negatively affecting your site ranking and users’ experience of your site. Also, keep in mind that share buttons with little to no shares can make your content appear unpopular. A seriously under-tapped tactic in local SEO is the use of semantic markup. Correct use of semantic markup – specifically that supplied by schema.org, which is the most widely recognised and adopted markup – helps search engines collect rich snippets of information about your business. This information then displays along with your search engine listing, taking up more screen real-estate and so attracting more attention. In fact, it’s estimated that this can boost the number of clicks through to your site by an average of 15%. It’s not just your listings on Google and other search engines that improve with proper semantic markup; Facebook and other social networks also use the markup to display information about your business. For local SEO, one of the most essential types of markup is the geotag. It allows you to tag your location, or “Place” in schema.org terms, by including geo-coordinates along with your other business information. 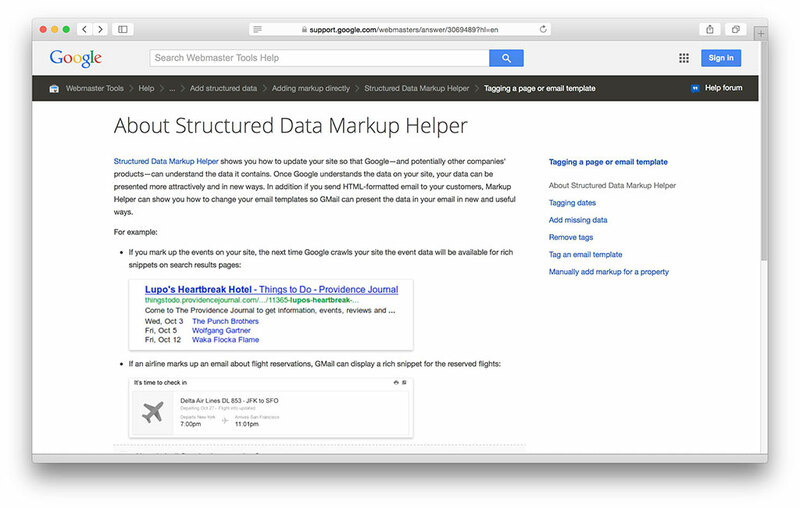 To assist you in creating proper markup for your website, Google provides a tool called the Structured Data Markup Helper. You can use this interface to tell Google about your business and provide your NAP details. It then returns a file containing markup that complies with the standards set out by schema.org. You can download the file and then upload it to your website. Google also provides a structured data testing tool that allows you to test whether your rich snippets are displaying correctly. All you need to provide when running the test is your website’s URL. Back in 2010, Matt Cutts provided the SEO world with a nugget of wisdom: “Make a web page for each store location”. Following this approach has made the task of optimising content for local results much easier. create linked Google My Business pages for all cities. If you list your branches on one page, as many businesses with fewer branches do, you’ll lose out on a large portion of location-specific searches for your products or services. Having a separate page for each branch also helps ensure that non-specific, local searches deliver visitors to an appropriate landing page on your site, with location-specific details on how to contact or buy from your company. You’ll need to decide whether to use subdomains (as in branch.brand.co.za) or directories (brand.co.za/branch) in your company’s URL structure. There has been much said on this topic, but the general consensus is that it comes down to preference and what you think will be clearer for your end users. One benefit to using directories, however, is that content management systems like WordPress provide this feature for free. Searches are becoming increasingly mobile and, in turn, more local in nature. To ensure that your site is mobile friendly and is capitalising on this growing trend, run your URL through Google’s mobile-friendly test ­­­tool, . The tool points out specific areas where you may be able to improve your site’s mobile performance. Google’s last major update to its search engine algorithm, Pigeon, introduced drastic changes in the way Google displays local search results. The update was rolled out in Canada, UK and Australia in December 2014, so expect it to hit – and keep hitting – in South Africa in 2015. A new development is that some webmasters have received e-mail notifications from Google, warning them to fix specific issues associated with mobile use of their sites. It’s safe to expect that soon, sites that aren’t fully responsive on mobile devices will be penalised. Search engine result pages, or SERPs have already started showing small buttons next to search results to indicate whether or not sites are mobile friendly. 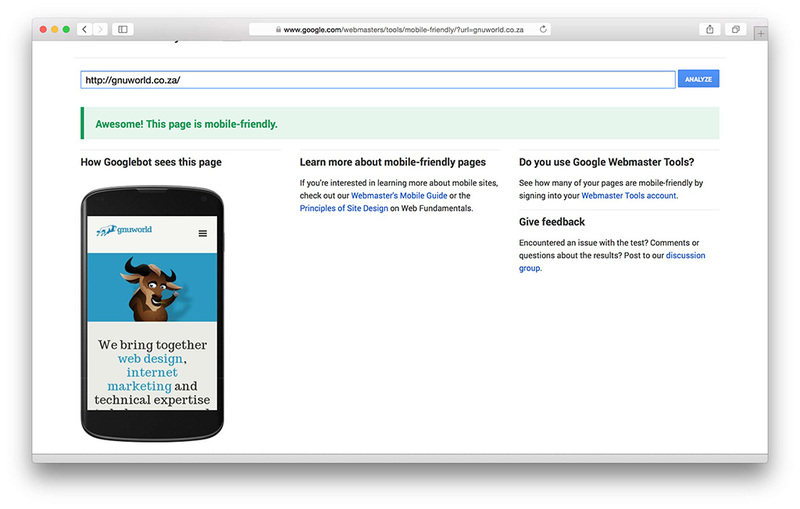 It won’t be unexpected if Google’s next update to its algorithm favours sites that are mobile-friendly. Google is also likely to continue to optimise its algorithm to favour sites that consist of well-structured data. Using tools like schema.org’s markup to standardise your site content may well affect your search engine rankings in the future. In 2015, those specialising in SEO will have to continue to diversify their skill sets. Focusing on only one aspect of local SEO is unlikely to bring results. Instead, a comprehensive strategy that incorporates all the available marketing channels is the best bet. 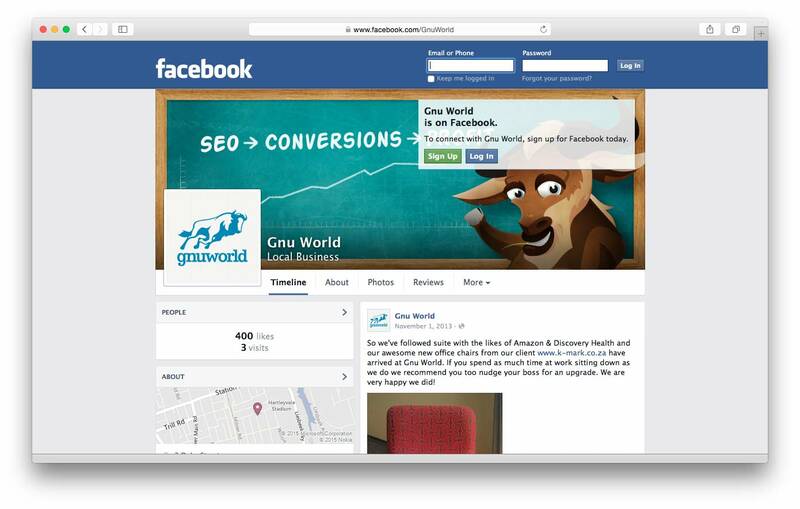 Gnu World continues to focus on the bigger picture, leveraging the latest SEO developments to meet clients’ needs.